When it comes to removing your steering wheel, there can be many different types of complications. From having to remove the airbag to disconnecting the steering wheel from the hub adapter. All that is required is a socket set and patience. Not all steering wheels are the same as some may be aftermarket and others may not even have an airbag. However, it is good practice to always disconnect the car battery before you remove the steering wheel to avoid any issues occurring. Keep the steering wheel completely straight and locate the mounting nut. Firmly pull steering wheel outwards. When replacing your steering wheel, you will want to do the above steps in reverse. You will also want to use a torque wrench to correctly tighten the steering wheel to the suitable torque. With the amount of aftermarket steering wheel options available, removing steering wheels is a fairly common task by many enthusiasts. For example, some may require an upgraded steering wheel for racing or drifting whilst others may want a stylish classic alternative designed for aesthetics. You can always add the best steering wheel cover you can find to help improve grip or aesthetics but a replacement may be more viable. However, it is important to remember that unless the replacement steering wheel is an OEM part, it may not fit straight on. 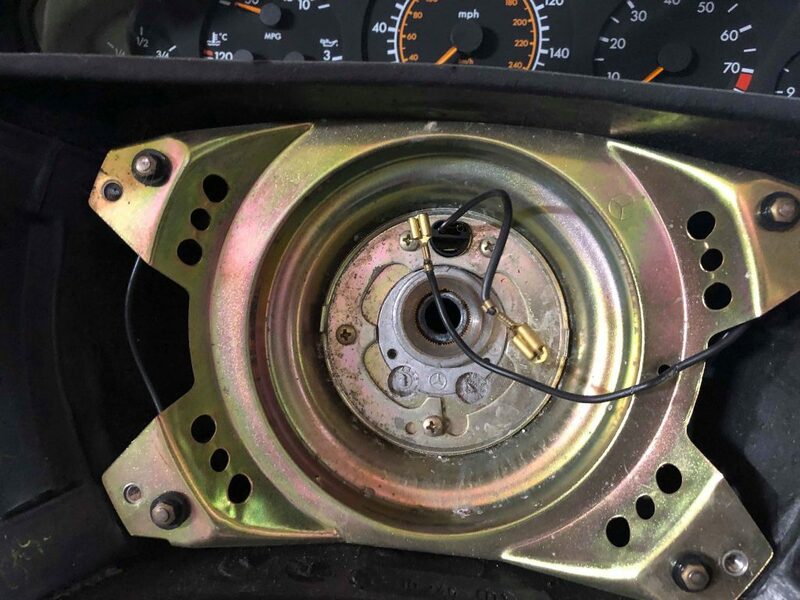 You may require an aftermarket hub adapter that goes in between the steering wheel and the clock spring. For both non-airbag and airbag equipped vehicles, there will always be wires that you will need to attach. 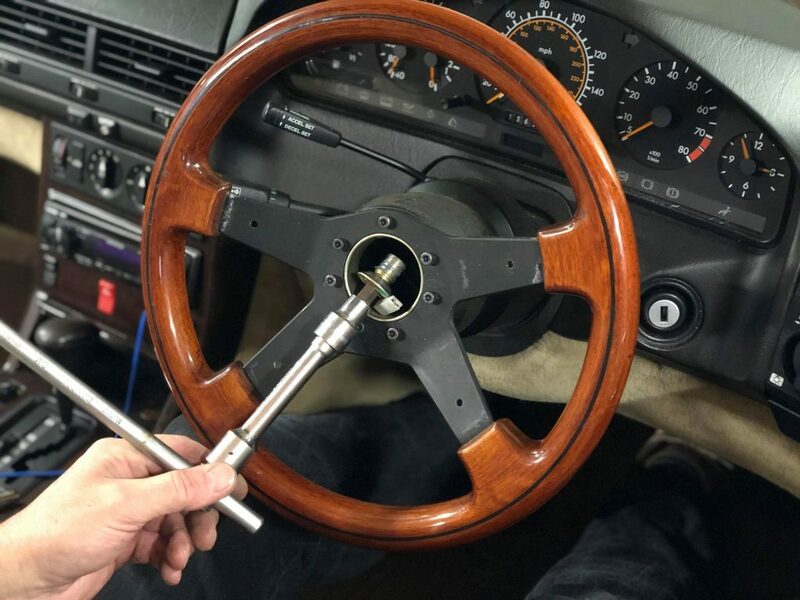 All steering wheels will have a horn button wire that will need connecting to the steering wheel pad. Airbag equipped vehicles will also need to attach the wire to the back of the airbag, which is very important as this may be the difference between the airbag deploying or not in the event of an accident. There is nothing worse than forgetting this step because you will have to repeat the whole process of removing the steering wheel all over again. The wiring is fairly straightforward to connect as shown in the image below. Removing your steering wheel is fairly straightforward and made easier if you do not have an airbag installed. If there is an airbag present on the steering wheel, ensure that the battery has been disconnected as the last thing you want is it going off in your face. If you find yourself struggling to remove the steering nut, you can even use an electric cordless impact wrench if possible. However, do this with caution and ensure that you have a secure fitting to reduce the risk of rounding the nut.